It has been well documented at this point that the Nexus 4 has an LTE chip inside. Even LG came out and admitted that they used the same processor/modem combo from the Optimus G inside the device, a chipset which included an LTE radio. Thanks to the presence of this LTE chip, some users, mostly in Canada, were able to get an active LTE connection as long as the connection was made on Band 4. Hopefully they have enjoyed their time with it, as Google has killed off this Band 4 support in the latest update to Android 4.2.2. According to Anandtech, a radio update inside the new firmware removes LTE support. Even if you try and toggle to “LTE only” in settings, the device will quickly dump you back to “WCDMA preferred.” Since the device was not approved by the FCC to operate in an LTE capacity, this is not all that surprising. 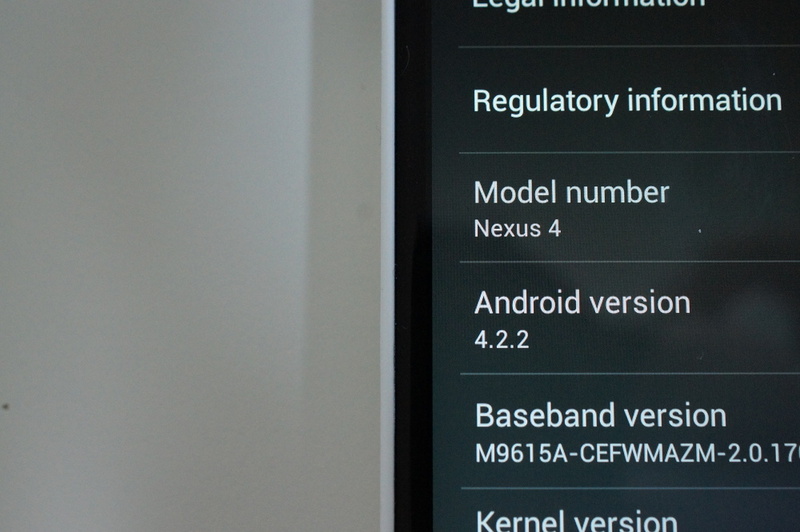 If you were taking advantage of the N4’s secret LTE power, you may want to hold off on updating. If you aren’t ready to give up LTE, there is a chance that you’ll find an update package without the new radio over at XDA or another forum.